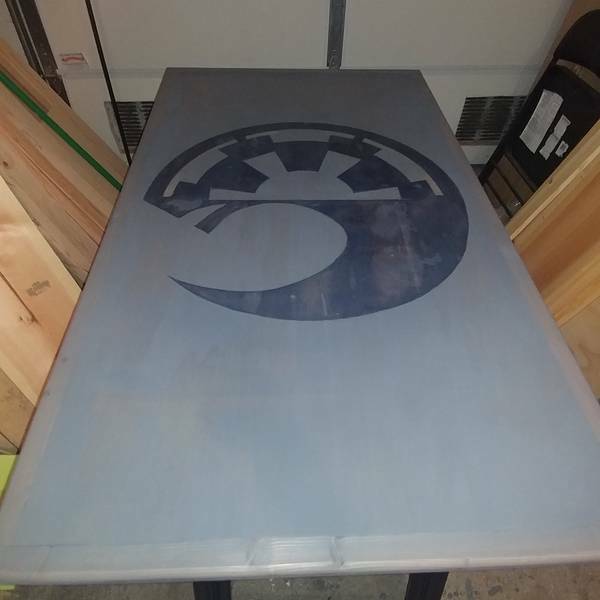 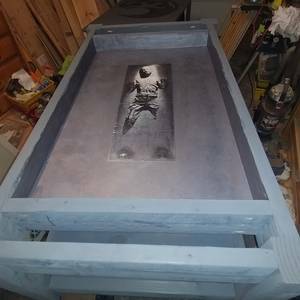 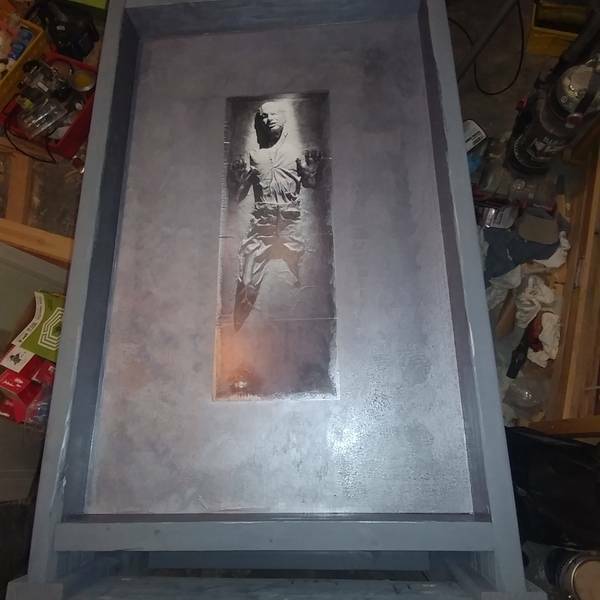 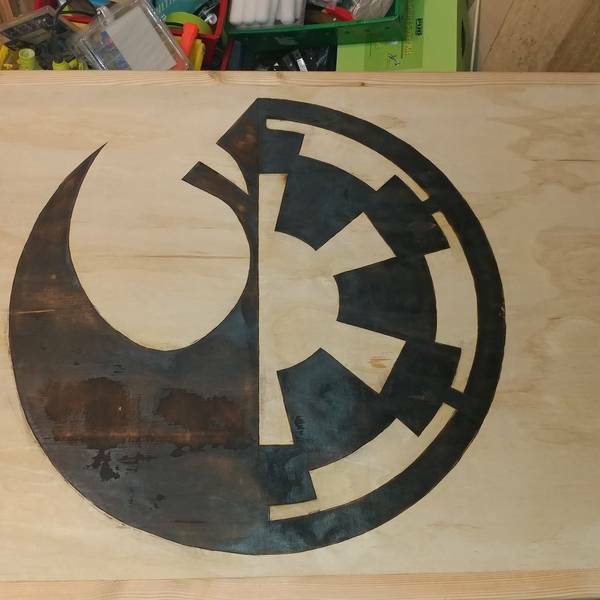 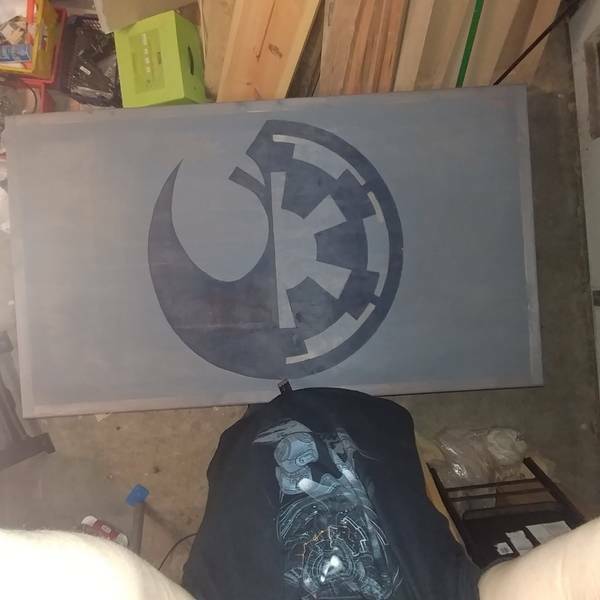 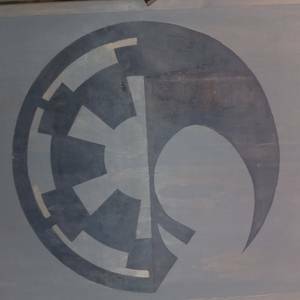 This is an oversized Farmhouse style coffee table with a nerdy twist. 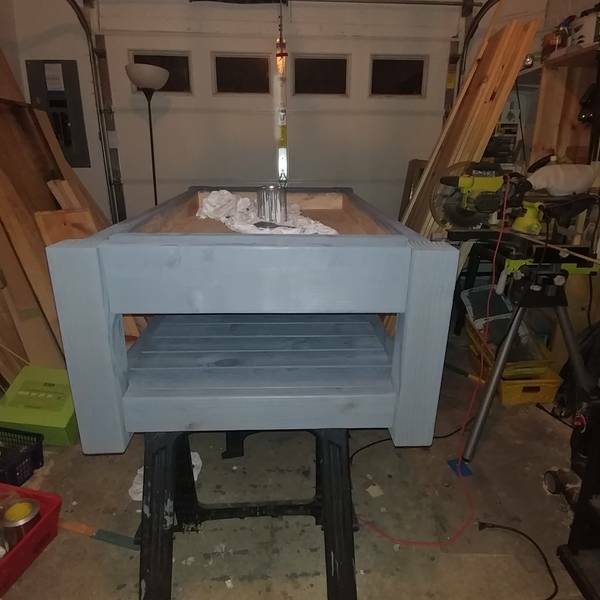 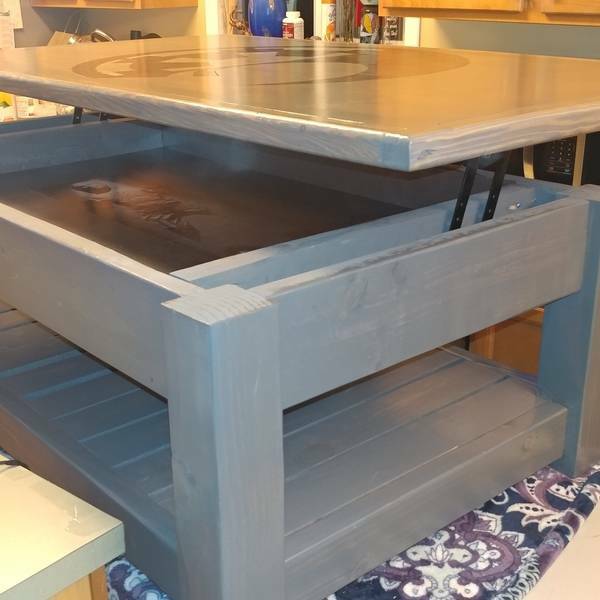 The top is a lift top with storage. 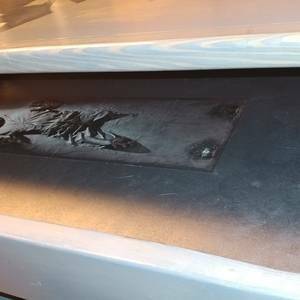 It was constructed from basic lumber and sande plywood with a little bit of wood burning. 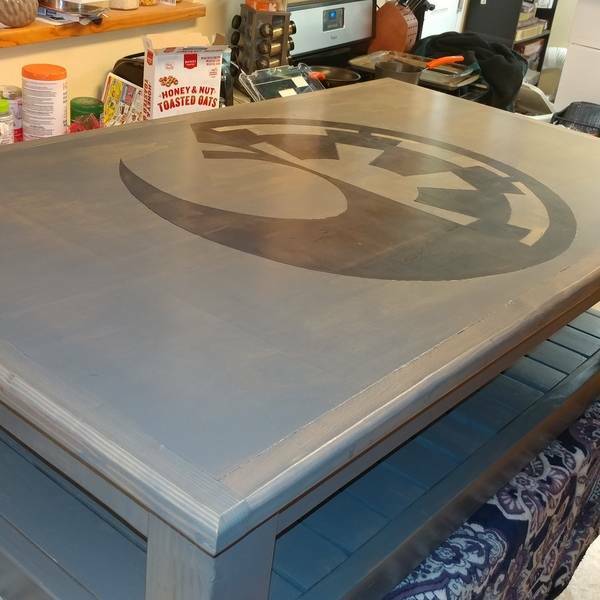 The table was made for a wedding present for some close friends.